We offer high quality grass cutting machine for cutting wild vegetation and jungle growth to keep the premises neat and clean. We offer our grass cutting machine at the most reasonable rates. We are pioneer manufacturers and suppliers of high quality electric lawn grass cutting machine, which is widely used in gardens, parks, hotels, malls, institutions, homes for quality mowing of lawns. Our electric lawn grass cutting machine is the most popular electric lawn mower because of its sturdy construction, heavy duty design and excellent performance. Our electric lawn grass cutting machine is powered by Heavy duty 1600 Watt Induction Motor and it has 16 inch cutting width. It can mow big and small lawns. it is available at the most economical price. The three - position cutting height is centrally adjustable between 25 – 65 mm to suit your lawn and the conditions. Cutting height can be adjusted at 3 stages from 25 to 65 mm. We are well reckoned as leading importers and manufacturers of petrol grass cutting machine. We offer our clients high quality heavy duty petrol grass cutting machine for cutting wild grass and vegetation growth. Our petrol grass cutting machine is powered by 2.1 HP powerful petrol engine. Our petrol grass cutting machine has appropriate nylon trimmer line, 2 teeth, three teeth, 40 teeth, 60 teeth, 80 teeth, 100 teeth, 120 teeth metal blade for cutting various type of grasses and crops. Our petrol grass cutting machine has anti-vibration attachment for ultimate comfort in use. It is available at the most economical price. Having a definite quality management system, we are regarded as the noteworthy manufacturer, wholesaler and supplier of Honda Grass Cutting GX35. Extensively used for cutting grass, wild vegetation growth and jungle growth, provided cutter is manufactured by utilizing the best quality raw material and modern technology. Our Honda Grass Cutting Machine is powered by Honda GX35 engine. We offer our Honda Grass Cutting Machine at the most economical price. We are well reckoned as leading importers and manufacturers of long grass cutting machine. We offer our clients high quality heavy duty long grass cutting machine for cutting wild grass and vegetation growth. Our long grass cutting machine is powered by 2.1 HP powerful petrol engine. Our long grass cutting machine has appropriate nylon trimmer line, 2 teeth, three teeth, 40 teeth, 60 teeth, 80 teeth, 100 teeth, 120 teeth metal blade for cutting various type of grasses and crops. Our long grass cutting machine has anti-vibration attachment for ultimate comfort in use. It is available at the most economical price. 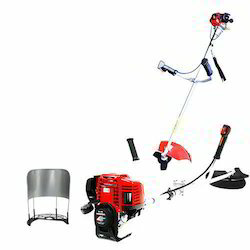 We are well reckoned as leading importers and manufacturers of garden grass cutting machine. We offer our clients high quality heavy duty garden grass cutting machine for cutting wild grass and vegetation growth. Our garden grass cutting machine is powered by 2.1 HP powerful petrol engine. 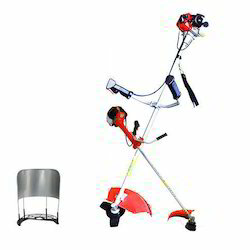 Our garden grass cutting machine has appropriate nylon trimmer line, 2 teeth, three teeth, 40 teeth, 60 teeth, 80 teeth, 100 teeth, 120 teeth metal blade for cutting various type of grasses and crops. Our garden grass cutting machine has anti-vibration attachment for ultimate comfort in use. It is available at the most economical price. We are well reckoned as leading importers and manufacturers of petrol grass cutter machine. We offer our clients high quality heavy duty petrol grass cutter machine for cutting wild grass and vegetation growth. Our petrol grass cutter machine is powered by 2.1 HP powerful petrol engine. 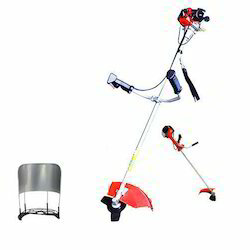 Our petrol grass cutter machine has appropriate nylon trimmer line, 2 teeth, three teeth, 40 teeth, 60 teeth, 80 teeth, 100 teeth, 120 teeth metal blade for cutting various type of grasses and crops. Our petrol grass cutter machine has anti-vibration attachment for ultimate comfort in use. It is available at the most economical price.